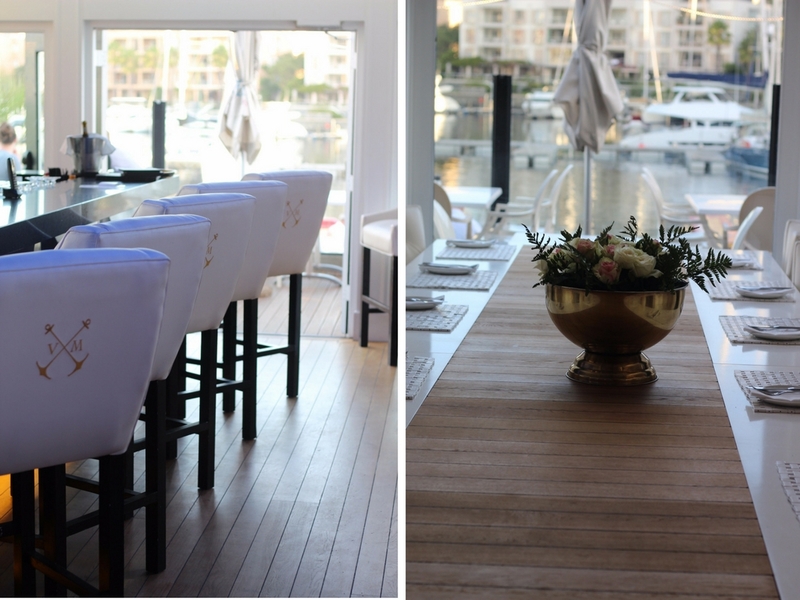 Last week we were invited to dine in style at the uber luxurious Vista Marina Restaurant situated at the V&A Waterfront. 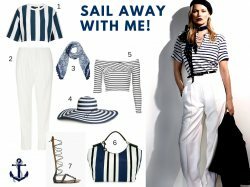 With incredible views of the V&A Waterfront Marina and a gorgeous angle of Table Mountain - the setting alone will take your breath away. 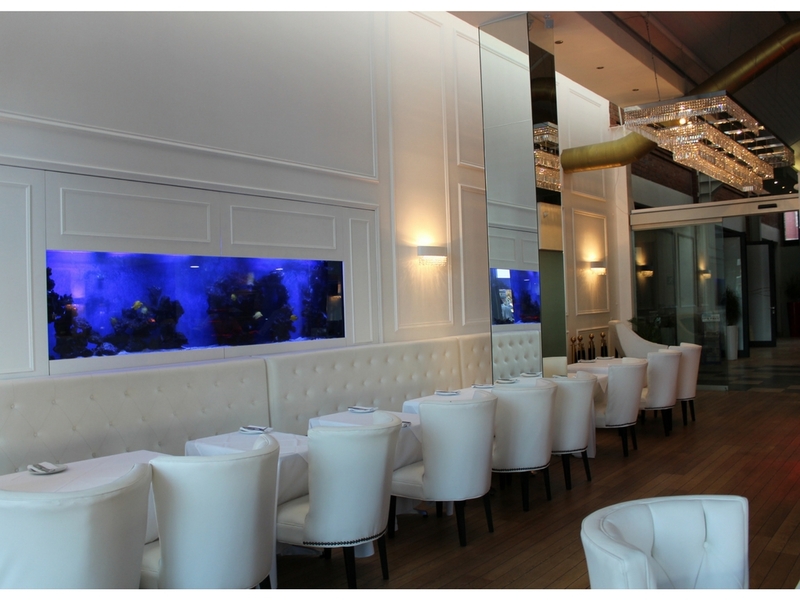 Vista Marina opened about 6 weeks ago with the food, decor and ambiance all inspired by the Mediterranean. 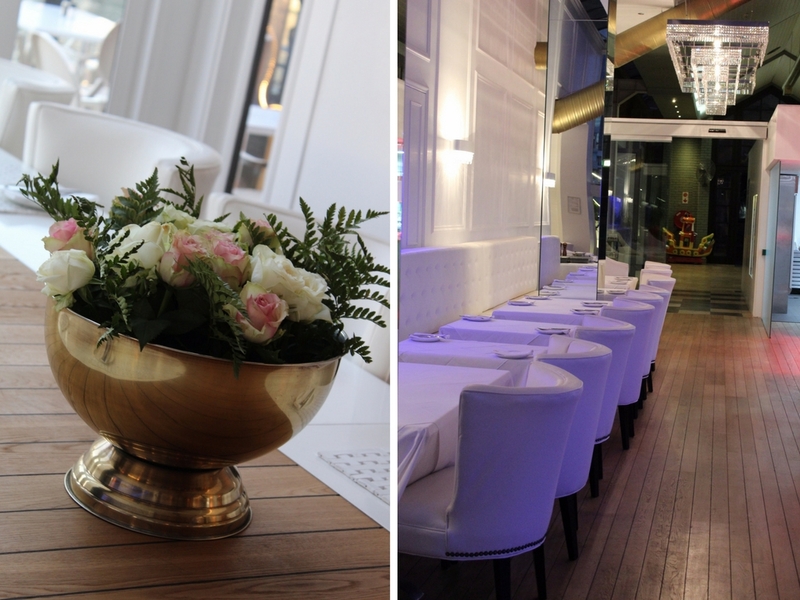 Modern contemporary furniture, beautiful flowers, stylish white chairs and a touch of gold all contributes to its ultra chic vibe and the idea was to have you feel like you're dining in a glamorous yacht in the Mediterranean when you walk in. 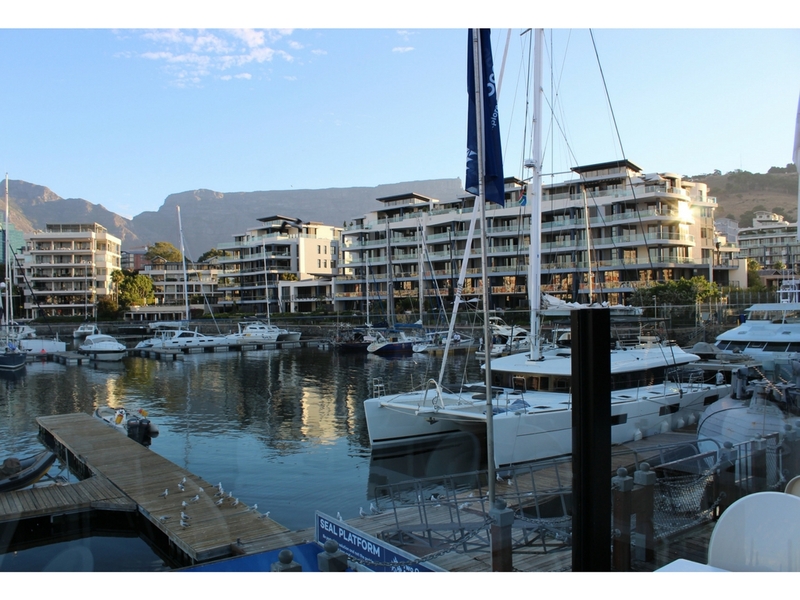 Cape Town was definitely showing off during our visit at Vista Marina with an incredible full moon and absolutely no wind, so we were off to a great start! We kicked-off a fabulous Friday with some cocktails that our lovely host for the evening, Lindizwe chose for us. Lindizwe knew the menu off by heart and we left our food choices of the night in his very capable hands. 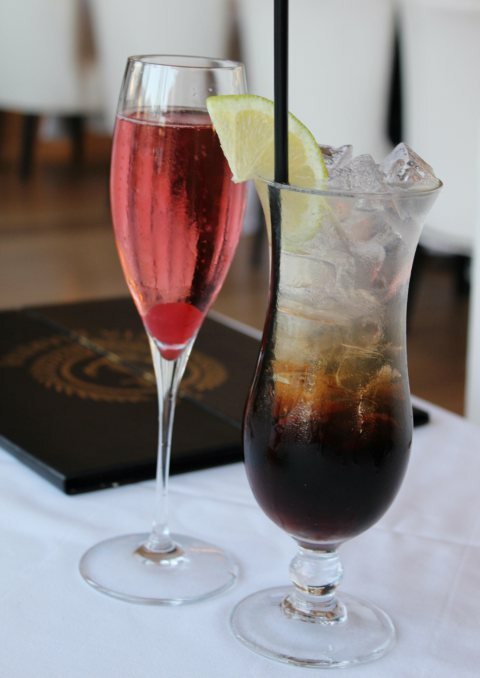 Ritza had the "Kir Royale" and I tried the "Long Island" - it's a very popular choice and perfect for a hot summer's day. 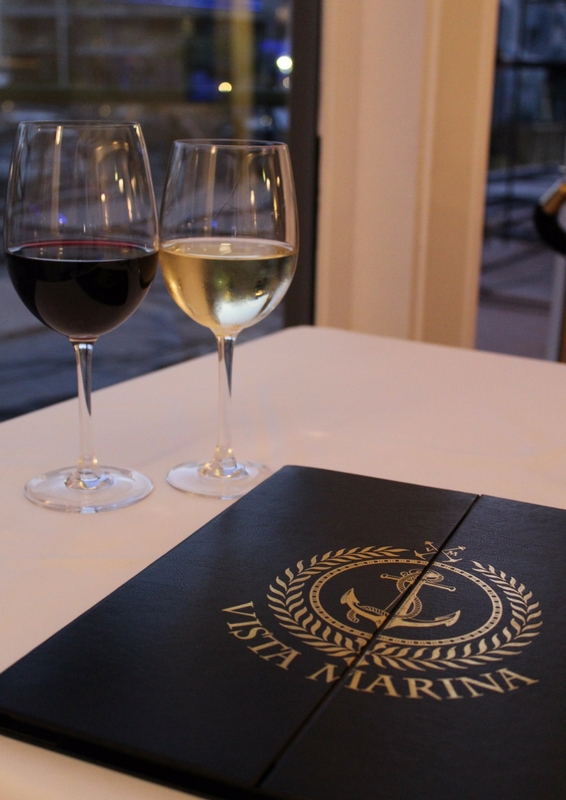 As mentioned, Vista Marina's menu is inspired by the fresh flavours of the Mediterranean. 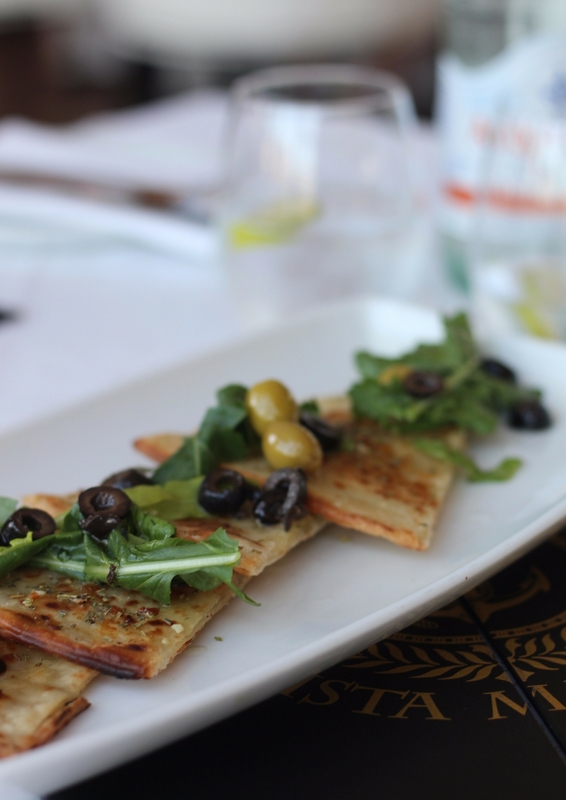 Their seasonal menu is filled with an array of delicious dishes and they even have a tapas menu for those who just want a quick bite with their sundowners. 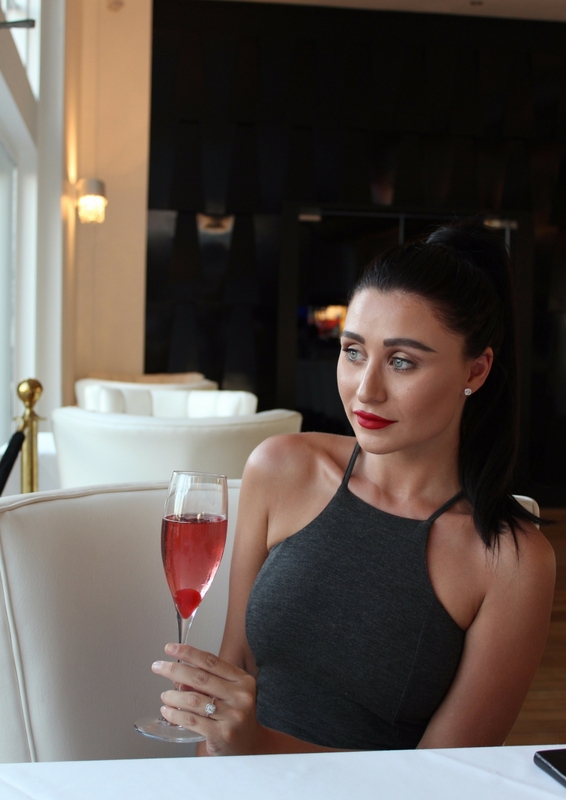 I was lucky enough to have a chat with the wonderful owners of Vista Marina and it's always such a pleasure to talk to someone that's as passionate as they are about their business. "When people visit Vista Marina, we want them to be comfortable. Bring your family, experience the view and enjoy food that is made with the finest quailty ingredients. 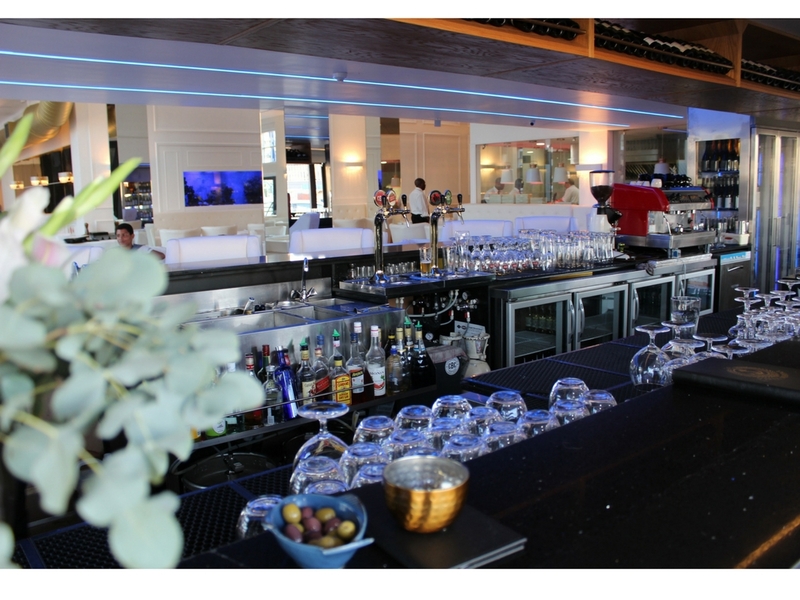 Vista Marina is designed to offer you a value-for-money fine dining experience in a beautiful setting." 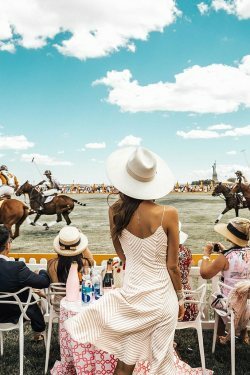 Now with that being said - let's talk food! The options of appetizers are amazing - but Lindizwe suggested these two very popular dishes that's packed with flavour and simply mouth-watering delicious! 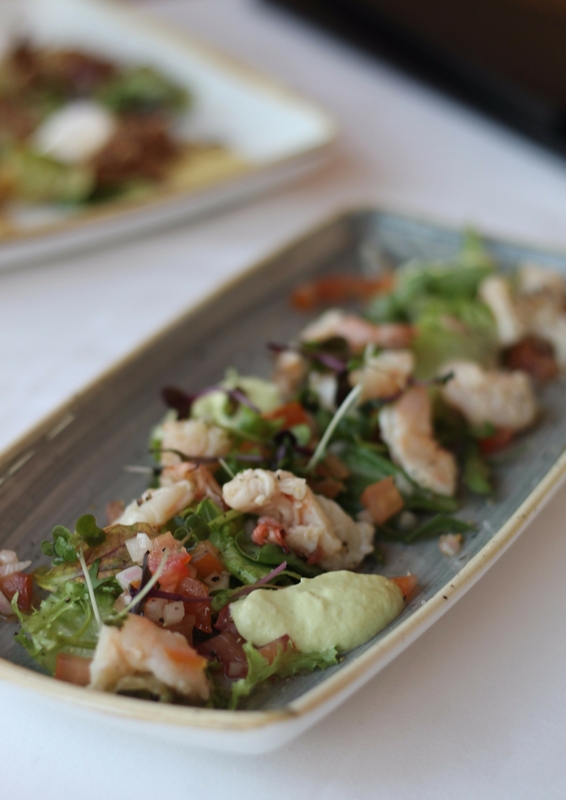 Prawn Ceviche, Avocado Parfait, Tomato and Red Onion Relish, Picked Coriander. 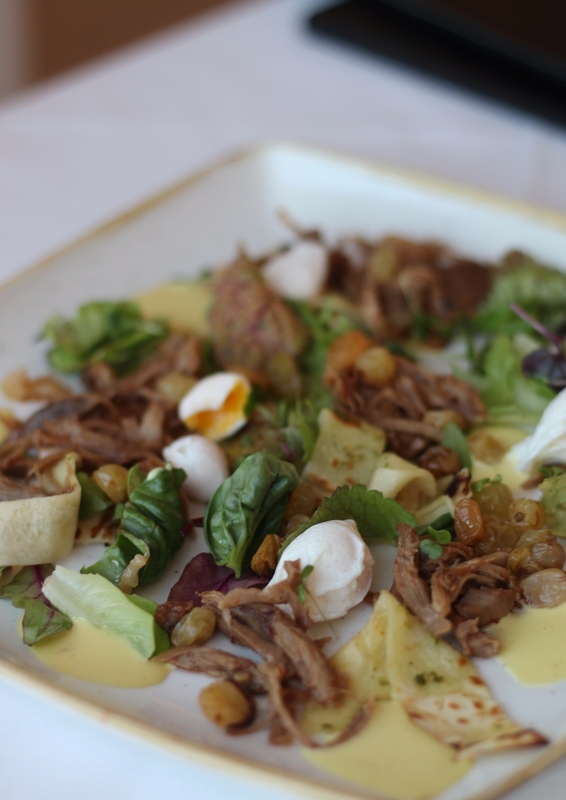 Pulled confit of duck, Brandy soaked sultanas, Herb crepes, Mescluin salad, Quails Eggs and Saffron Aioli. St Tropez Traditional Bouillabaisse - Line Fish, Black Mussels, Prawns, Baby Calamari, Classic Bouillabaisse broth and Saffron Rouille Crostini. This is a must-try for seafood lovers! 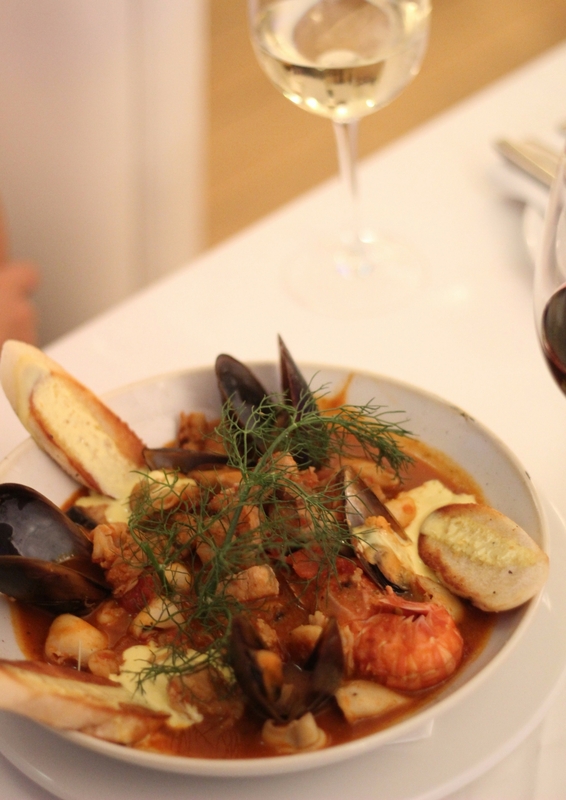 It's an old family recipe and unlike any other Bouillabaisse I've tried in Cape Town. 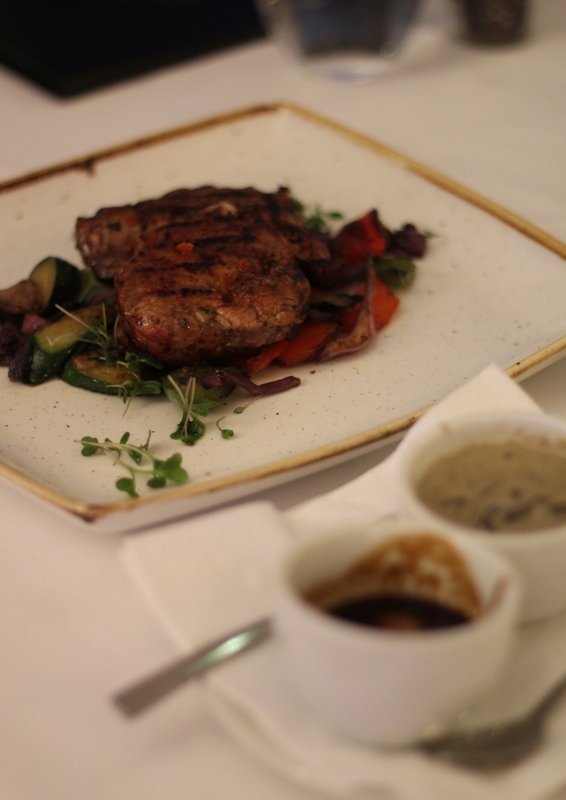 Warm and hearty - this is comfort food done in style. 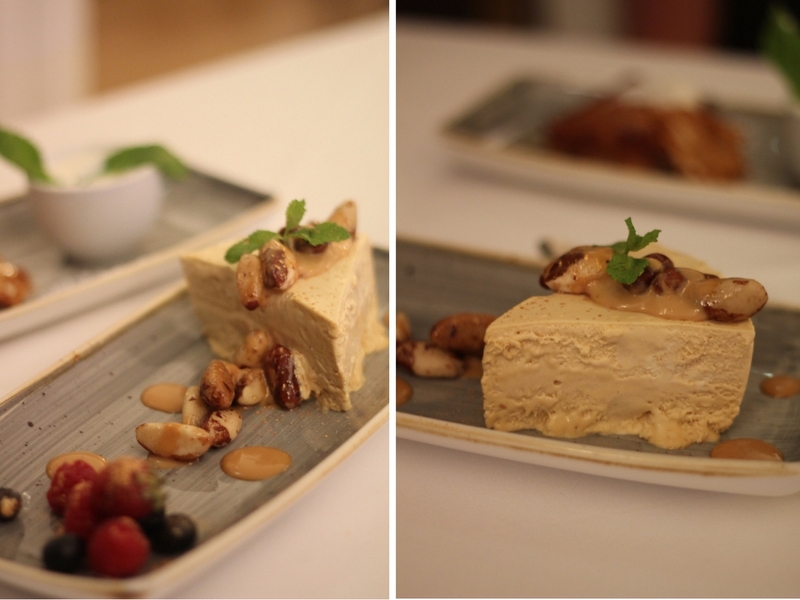 Salted Caramel Semifreddo with honey roast Bazil nuts. If you like Salted Caramel, you will LOVE this! 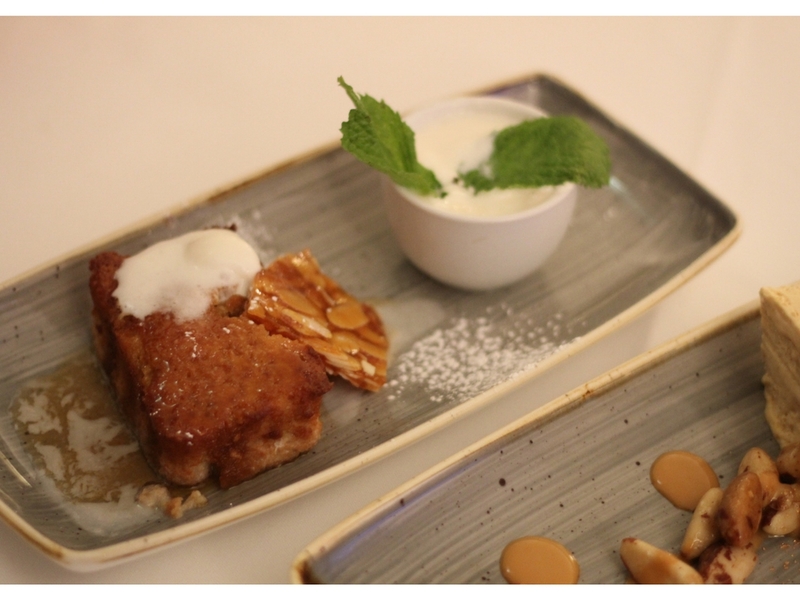 Warm Almond Milk Cake, Amaretto Ice Cream and Almond Brittle. 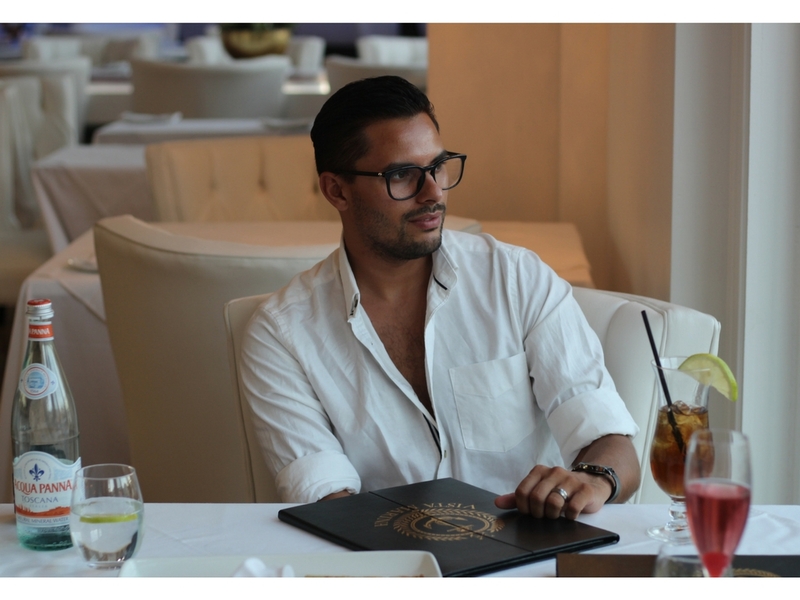 After learning more about Vista Marina, getting to know the owners and trying the amazing food, I can definitely recommend a visit to this stylish space. It's a bit on the pricier side, but it's value for money and top class cuisine. 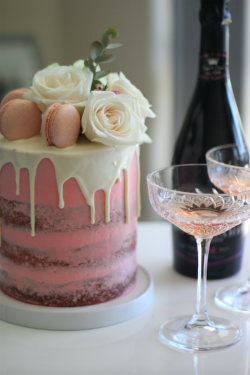 They host birthday parties, intimate events and VIP events, so make sure to LIKE them on Facebook HERE or visit their website HERE for a booking. Thanks for a delicious evening Vista Marina! No comments yet on Food Review: Vista Marina V&A Waterfront .